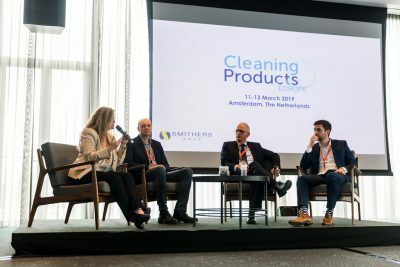 The Cleaning Products Conference Europe was held this year in Amsterdam bringing together cleaning industry executives, scientists, regulators, as well as research & development professionals from companies such as Procter & Gamble, B/S/H and Ecover. 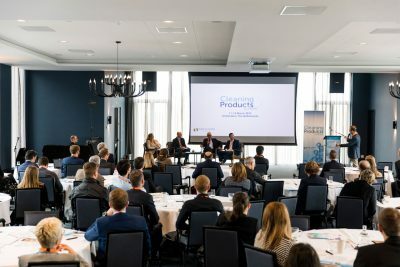 Professionals from across the household and industrial cleaning products supply chain had the opportunity to discuss the challenges, opportunities and the rising consumer demands across the cleaning product life cycle, from raw material to shelf. This year due to an increasing trend in consumer awareness of health issues around the use of cleaning products, and in particular asthma and allergies, Allergy Standards (ASL) was invited to contribute to an allergy specific session to discuss the perception and opportunities. Professor Cecile Svanes from the Centre for International Health at the University of Bergen, and Dr. Jan-Paul Zock from the RIVM, Centre for Sustainability, Environment and Health spoke about the occupational and domestic risk of over using particular cleaning products or poor distribution mechanisms, indicating a link between regular cleaning and respiratory symptoms and conditions. Dr. Gareth Evans from the health & Safety laboratory in the UK discussed the testing and regulation of various cleaning products using specific examples of products that have become a consumer issue. One of these included discussing the rise of probiotic cleaning solutions and the need to regulate the presence and content of free enzymes that may cause skin irritation issues with sensitive individuals. 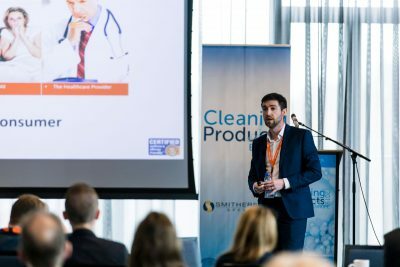 Dr. Joey DeCourcey, Senior Scientific Officer at ASL, discussed the impact of the cleaning products in a domestic setting and the growing market due to an increase in asthma and allergy diagnosis across Europe referring to his most recent publication in H&PC today. Dr. DeCourcey also outlined the persona of the “allergy aware” consumer and how to engage them in designing and marketing products more suited to creating a healthier indoor air environment. The final part of the presentation discussed the rationale and steps in certifying a cleaning product asthma & allergy friendly® under the ASL certification standards. The session was rounded off with a Q&A discussion with the expert panel and engagement and questions from the floor. 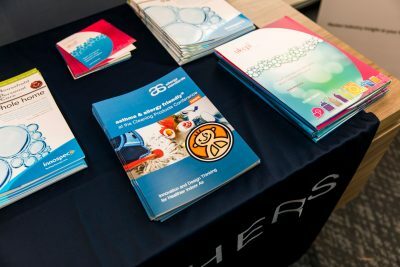 Some of the other relevant topics discussed at the conference covered regulation and new green technologies in cleaning product formulations. ASL were delighted to take part in this informative conference and look forward to seeing the issues of health, asthma and allergies continue to take main stage and be discussed among leaders and influencers in the cleaning industry.